What Is Insulin Resistance - do you have it? What is the perfect diet for weight loss and diabetics? What is insulin resistance? Have you heard but don’t understand what is insulin resistance? Are you gaining weight no matter what you try? Are you pre diabetic or been diagnosed as a diabetic (T1 or T2)? Has your appetite always been out of control? Well watch this fabulous Tedx talk by Dr Sarah Hallberg and see how insulin resistance can be playing a part in all the above conditions. Everyone can benefit from cutting carbs. Not only will it reduce your risk of T2 diabetes, obesity, cardiovascular risk factors and more importantly, your inflammatory markers are reduced which has huge implications for cancer prevention. Why are the guidelines still recommending for diabetics to consumes carbohydrates when they are intolerant to them? The message for so long has been “eat whatever you want, then medicate for it”. This is such nonsense. None of us should be eating so many carbs, let alone diabetics. We can have the beginnings of insulin resistance for years, even decades, before we are classed as pre diabetic or T2 diabetic. Having such high circulating levels of insulin is the problem. High insulin levels leads to insulin resistance. Our cells start to require more and more insulin to function. So now you have watched the talk, lets look again at what insulin resistance is. We are all advised to eat far too many carbs, whether it is ‘healthy wholegrain’, sweets, ice cream, ‘natural’ muesli bars, cereals, bread or potatoes. This constant high level of circulating glucose (which all carbs are converted to) requires more and more insulin to push that glucose into your cells as glycogen. We can only store so much glycogen in our body so the remainder is stored as fat. Insulin is our fat storing hormone. Remember that again, insulin is our fat storing hormone. So whilst our blood sugars may remain in the healthy range, our body is becoming accustomed to the high levels of insulin and so requires more insulin to be produced over time to lower our blood glucose. We have become insulin resistant. Our cells no longer respond to our insulin so more must be produced. High levels of insulin lead to insulin resistance. So how do we lower our insulin, whether it is made in the body or injected as a Type 1 diabetic? We should ALL be eating low carb meals. Low carb is the best way of eating for everyone to prevent insulin resistance and reduce inflammatory markers, but especially for those with diabetes (T1 and T2). Hi, I have been T2 for over 30 years, female and extremely obese (150+ my scale is only up to 150kg). I am injections and pills twice per day. My bg used to between 8-10 mornings after fasting. I started Banting since then my bg is btween 12-15 in the mornings and persists even after meds throughout the day. I do not cheat at all. I eat eggs spinach and meat a lot in addition to other (grown above ground ) vegies. no sodas nor hot drinks, only water. I have not lost any weight but my bloodsugar levels have risen. Why is that so? What must I do? Has same predictive power as glucose challenge test with insulin measurements! My 15-yr old daughter is insulin resistant and on medication for that. She is constantly searching for chocolate or sugar to eat, no matter how much I tell her “no”. She is a little over 200 pounds, but she is tall so she carries it well. I have recently started a low-carb diet and am trying to get her on board. How many carbs a day should she have for her age and weight, with insulin resistance. Also, will the metformin she takes cause her problems if she cuts her carbs. The idea would be to come off of it completely, but don’t want it to cause problems before it’s time for her blood work with her doctor again. Hi Heather, I cannot give advice as she is on medication and would need to be under the supervision of her specialist, but what I can say is that a slow and gradual reduction in carbs will help those with insulin resistance. Constant snacking (especially on high carb foods) brings a chronic elevated level of insulin which causes insulin resistance. Start by stop buying anything you know she shouldn’t be having. Anyone who is intolerant to carbs and continuing to eat them, is really being medicated for their food choices. This is so difficult to watch when it is someone you love and care for. By not having these food choices in the house, at least you may be able to stop the temptation she feels. I know I can’t have them in the house and it makes for an easier life in the long run with my children. If I had them, they would constantly badger me for them. To be on Metformin at such an early age is a wake up call. You are a lovely supportive mum to help her, and I hope you are able to install some life-long eating habits she can take into adulthood. You might want to allow her to plan some low-carb meals. Make more of her food options her choice, but from a low-carb list/website/books perhaps. Allow her to feel she is still in control but to also realise the life long complications of being insulin resistance which is in her hands now to improve, possibly reverse. Insulin resistance can lead to so many complications and hormonal problems. Insulin resistance is not, say, a Metformin deficiency. Metformin can be helpful for those who are eating a regular, high carb diet. Might I say that my personal experience was eating far fewer carbs than recommended by the diabetic diet, my diabetes was progressing, even taking Metformin. My doc was recommending ever more meds. Bah! Watch the Sarah Hallberg talk. How many carbs do we need again? Oh, yeah.. Zero. Pay close attention to what happens to the need for meds by those following a low carb high fat diet. Now get your daughter to watch that talk with you. It is my guess that she might not be ready to accept that her insulin resistance is likely the harbinger of type 2 diabetes. Since going LCHF, my A1c is very close to normal, my cholesterol numbers are much improved and my liver enzymes are normal for the first time in 20 years. I am just one person, but that is my story. LCHF and keto bloggers and their recipes have made that possible! I’m not sure how things are going with your daughter, but I’ve been on Metformin for over a decade as an insulin resistant person with PCOS as well. I have only just discovered LCHF and just swapped overnight to the change in food. I haven’t altered my medication because I haven’t been to see my doctor and won’t for another 5 months or so. My cravings for sweet things disappeared almost instantly and I can have chocolate either 85-90% or as fat bombs. So I’m happy with these options, I’m not deprived in any way. The other thing to keep in mind is that she is going through puberty and her hormones will be having a major effect on her blood sugar levels as well and making them even more unstable. LCHF could help level these out and help her with this trying time. Her unstable hormones can last through until her brain finishes developing at about 25. Avoid some of the issues by just making some of the fab meals on Libby’s website, she won’t know the difference and won’t feel she is missing out at all, especially if there is a dessert. All the best, Kia Kaha (be strong,stand tall/proud). I know that this is the way to go forward. I’m trying to prepare to start the LCHF diet early in the New Year. So in about 4 days. Before I get to that I must remove all chocolate etc out of temptation. I was diagnosed T2 diabetic 4 yrs ago, the first thing I did was go to the ADA website to learn how n what I could eat. I was also sent to a dietician to make a food plan. I was given a booklet explaining what was happening with my body because of diabetes, even though they say to cut down on carbs they were given me recipes that were 30 40 even 50 grams of carbs per serving to make n eat. So I started off just being on 1 med but that didn’t help so they up that med to the highest dose allowed and still didn’t help, so they added another med same thing 2 meds at the max dosage, pretty much eating what I wanted, but still my fasting # are in the 300-400 and range. Then a month ago we got hit by Hurricane Matthew, was without power for a week. Had to throw out all the food from my fridge and it was there I had made a promise to myself, that I would change my eating habits and go LCHF. It has been exactly one month since I started eating healthy, I have lost 12 lbs so far, I feel SO MUCH better, I have energy, I’m NOT tired all the time, I don’t have the numbing of my hands any more, and MOST important my BG #’s have dropped over 200 points n I have stopped taking my diabetic meds. I have discovered this website and others to find great recipes to make and eat. I’m not hungry, I eat a lot more meats and get filled up now more quickly. This is NOT a diet but a Lifestyle Change, I eat more at a sitting but eat less in the long run. Thank you for ur wonderful recipes. Kate this is fabulous. I am so happy that you have made the switch to LCHF and it is clearly producing amazing results for you. Weight loss, controlled appetite, better stable blood sugar control and incredibly nutritious. Well done to find your own path and do your own research. Isn’t it ridiculous how those who are intolerant to carbs are told to eat them at every meal and snack. I am convinced this will seem ludicrous in years to come, but we are clearly not waiting for policies to change. I am so glad you have found my website and it is helping you and your T2. Spread the word with others who have been diagnosed, the only way to get the message out there is to be a shining example. Congratulations on your results. I was diagnosed with t2dm last year with 12% hbA1c, I’m 29 years old 106lbs. My problem is the more my blood sugar spikes the more i lose a huge amount of weight. May I know if it’s possilbe for a LCHF approach to help me gain weight while lowering my blood glucose levels? All the articles I have read is for weight loss, I hope there’s also a proper diet approach for those of us who wants to gain weight. Thanks in advance. This is a great article you may find helpful, how to gain weight the healthy way. When it says “no sugar” does that mean no processed sugar or not any kind of sugar (like no fruit because of fructose, etc.)? Sugar no matter where it comes from will raise your blood sugar. Stable blood sugar is key to avoid the complications of diabetes. You may have a small amount of fruit but low sugar fruit such as berries. You must count the sugar in the fruit and be aware it will raise your levels. How much fruit you each each day is dependant on your situation and health condition. Anyone intolerant to carbohydrates (such as those with diabetes) should restrict their fruit intake. We have been told for too long that fruit=vegetables when it comes to nutrition but the fruit is natures candy and should be restricted. Read this article, it’s a brilliant summary of why fruit is fuelling the obesity crisis and why “fruit is not even nutritionally worth it’s fattening properties”. I love eating low carb – I definitely feel so much better eating real food and cutting out the sugar. It really is the only thing that stops my sweet cravings and bingeing. However this time round after a month of low carb/keto I have barely lost 4lbs and it seems to have stalled already. Feeling rather despondent and then I read about a new study (Hall) that seems to put the whole insulin/obesity link into question and even seems to suggest that low fat is more effective after all. Argh!!!! Which one is it? I love eating lchf. I love that my food tastes good but the almost lack of weight loss this time round (38, at least 80lbs to lose) is disconcerting. Any thoughts? Zoe Harcombe has looked into this and found the study to be incredibly misleading. “The LC group ended up with a diet comprising 30% carbohydrate, 49% fat, and 21% protein. The LF group ended up with a diet comprising 72% carbohydrate, 7% fat, and 21% protein. You can immediately see one of the problems. This should have been called RC and LF – Reduced Carb and Low Fat. The fat intake at 7% is absurdly and unnaturally low; the carb intake at 30% is way higher than any genuine low carb diet. Hence this was not comparing a low carb with a low fat diet. 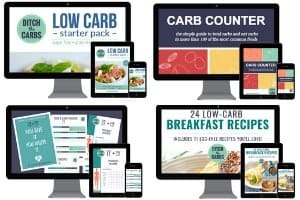 It was comparing a reduced carb diet with an unnatural fat intake.” Read her full article and criticism of the Hall study and how it wasn’t comparing try low carb in fact at all. So rest assured, low carb beats low fat in every aspect hands down, weight, health, biological markers, inflammation, appetite …..
Look at Banting. Google it, look on Pinterest, even a Facebook page, and a few different apps for your phone or tablet. It all about LCHF eating. With receipes and support. I love it. Ps. Cut your dairy Dow until you start showing some weightloss again. Sounds like you just need to kickstart yourself again. Good luck!! Dr. Hallberg’s talk was the first thing I watched when I was desperate for a solution to my out of control diabetes. Everything clicked- it just made so much sense! Then I discovered dietdoctor.com, Dr. Fung, this site & things are so much better. I still have a long way to go, but I was SO metabolically ruined from following ‘doctors orders’ for so long. My new doctor is supportive which helps too. This post is going on my Keto Sweeties page, (lchf support for T2’s) as a must read post. Thanks for putting together one of the most comprehensive, yet concise posts I’ve found to date. Thanks! Thanks so much for this very inspiring talk. I have been doing LCHF for two months now. Losing slowly, but for the first time losing weight after every other kind of diet failed. I’m so happy to have my choice of diet confirmed as the best one for me. People tend to act like you are crazy when you tell them you are eating low carb and high fat. I was at 365 lbs and taking five shots of insulin a day and 2 different oral meds, I lost a friend to kidney failure when I finally woke up to the seriousness of diabetes and what might happen to me. I got scared and realized I needed to make some serious changes in my lifestyle. I fully endorse low carb not NO carb, but healthy, low carb, high fat, not all fat, but good, natural healthy fats and moderate proteins. This site along with a few others have really helped me to make it there. Thank you for what you do. And thank you to Dr’s Hallberg and Fung for what they do and the education they give. Heidi- Thank you for your story, you have no idea how inspiring it is! Blessings for continued success. Watching this made me want to stand up and cheer. Speakers and presentations like this help strengthen my resolve and stay the course, so thanks very much for sharing! I’m off to watch part 4 of Dr. Jason Fung’s 6 part series on obesity (lots of “aha” moments there!) The more I learn, the easier it is to keep the nasty carbs away! Watching these two videos makes me want to cry. I’m at a point now where I need to do this for my health; my life, not just to lose weight. I weighed 300 pounds and had pancreatitis (geez it hurts, don’t let it happen to you I’m begging) and I discovered the low carb diet. In a year I lost 96 pounds and am healthier than I’ve been in 30 years. Sites like this saved my life. Thank you for what you do. Thank you Doctor Hallberg for restoring my sanity!! I have been fighting this since I was first diagnosed with Type 2 diabetes and insulin resistance. They told me I needed to eat 40-50 carbs per meal and it nearly made me scream. I had been on a low carb diet and knew better. I was so confused that these people in authority we telling me this. Luckily I saw the Low Carb High Fat group on Facebook and started learning the correct way to do low carb. I can’t say thank you enough!!!! My grandmother, mother and sister all had/have Type 2 diabetes, so I knew I needed to act fast to avoid it. So I gave up all sugars in July 14 (except for fresh fruit), had lost 3 kg but still had insulin resistance by Nov 14, so then gave up starchy carbs as well (except for 1 cheat meal a week). By April 15 I could drink champagne or eat a Snickers bar (cheat meal!) without a huge blood sugar reaction (palpitations, dizziness etc), and have lost 16kg so far without any effort. I do 3 sessions a week of High Intensity Interval Training which is supposed to help with insulin sensitivity as well. This all really works! you give me hope… I have just stared on this road… thank you for letting me know here is hope as I am only doing this for my health and it is tough to give up sugar and starch together. 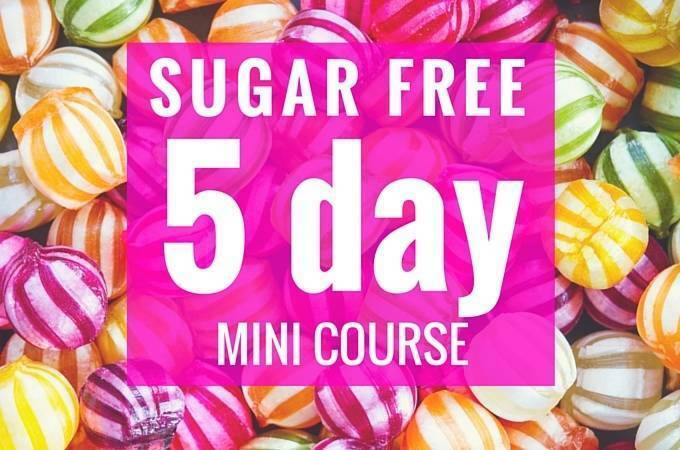 Once you get past one week of sugar withdrawels, it gets a LOT easier. When you have cravings, just eat meat and fat instead. Insuiln is what causes the cravings, and without carbs in your diet, you don’t need the insuiln. Get Dr. Bernstein’s book “diabetes solution”. It’s the ketogenic way to control your blood sugars. Dr. Bernstein is also Type 1 diabetic so he understands.